The Rockton River Market is all about fun! Shop to great live music in downtown Rockton while visiting a fvariety of food and goods vendors every Wednesday, June through August. Settlers Park - 2/20/2013 - E. Harwich St., Rockton, IL 61072 - From the South/East: (Rockford/Chicago) - From I-90: Exit on Rockton Road, turn left (west) approx 3.5 miles. Rockton Road becomes Union Street at the Hwy 2 intersection. Continue on Union Street 4 blocks, turn left (south) on Salem Street. Parking is located at Hononegah High School to your left. You may also turn Right on Main Street and continue to downtown Rockton, parking and shopping are located there. 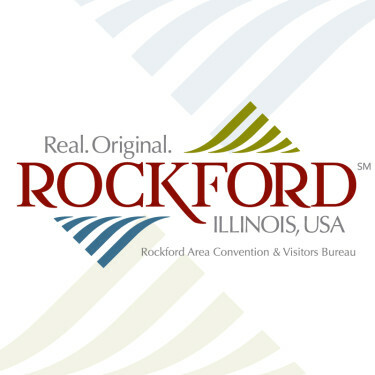 --- From the South: (Rockford) - From 251: Travel North to 251/Hononegah Road. Turn Left on Hononegah Road. Travel approx 3 miles, the road becomes Main Street after the bridge crossing Hwy 2. Park at Hononegah High school. --- From HWY 2: Travel North, turn left at Rockton Road/Union Street. After 4 blocks turn left at Salem street, Hononegah High School parking lot is on your left. --- From The North: Beloit/Janesville/Madison) - From I-90: Travel South, exit on Rockton Road. Turn right (west) travel approx 3.5 miles Rockton Road becomes Union Street at the Hwy 2 intersection. Continue on Union Street 4 blocks, turn left (south) on Salem Street. Parking is located at Hononegah High School to your left. You may also turn Right on Main Street and continue to downtown Rockton, parking and shopping are located there. --- From The West: (Freeport) - Take Hwy 75 East to Meridian Road, turn left (north). Travel to Shirland road and turn right (east). Shirland Road turns into Rockton Road/Union Street as you enter Rockton. Turn South on Salem Street and park at Hononegah High School.